For our latest Gnomad Homies International feature! We chat with the inspirational Gabriella Hummel and the ever so talented Sandro Alvarez of @vanabundos. They are from Liechtenstein/Argentina and Switzerland with some Spanish roots, but right before they hit the road they lived in Zurich. They are currently in Playa Maderas, Nicaragua. Enjoy their story! What are you traveling in? 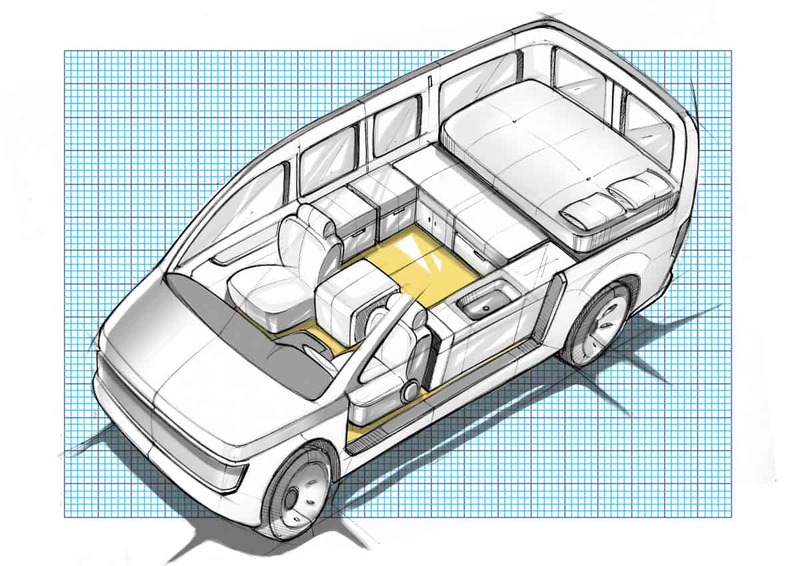 Did you build the interior yourself, or did you buy it pre-built? How long have you been living in this? Do you live in it full time or part time? 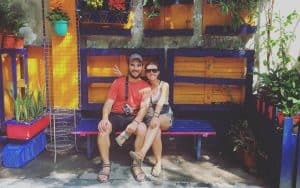 Almost one year, and we’re full timers! What made you want to choose this lifestyle? What was that transition like? It was definitely a process. But the thought, “there has to be more to this life than just going to the office everyday” was always part of it. 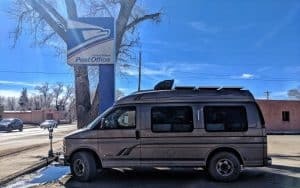 We saved, bought a van, quit our jobs and embarked on this trip from North to South America without knowing what was going to happen. After this year we know that we’ll do a lot of things differently in the future. Living a simple life on the road and experiencing all of these countries with their beauty and challenges – it’s definitely life changing. 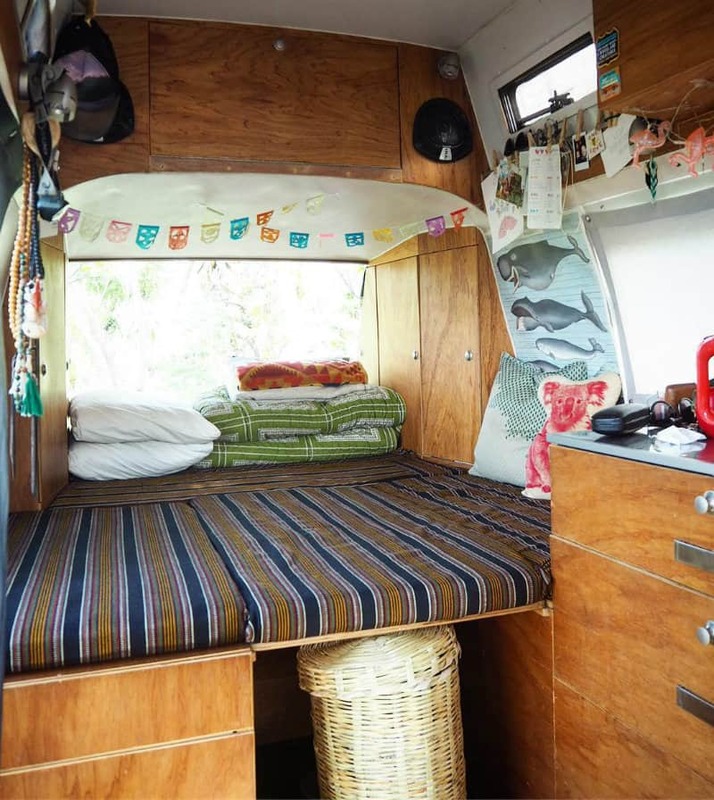 What’s your favorite part about living the vanlife? That we can leave if we don’t like it – and on the other hand stay as long as we want when we do! 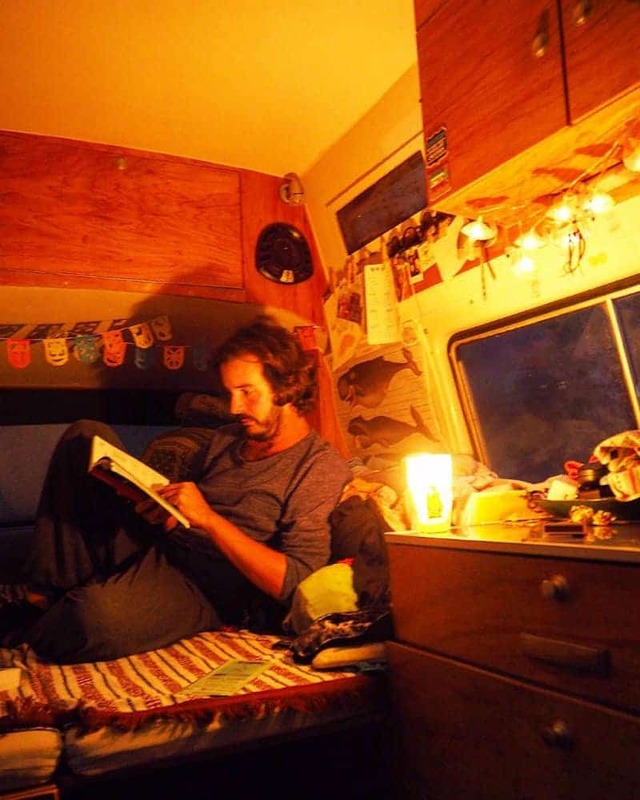 What is your least favorite part about vanlife? There is really nothing that we don’t like about this life. 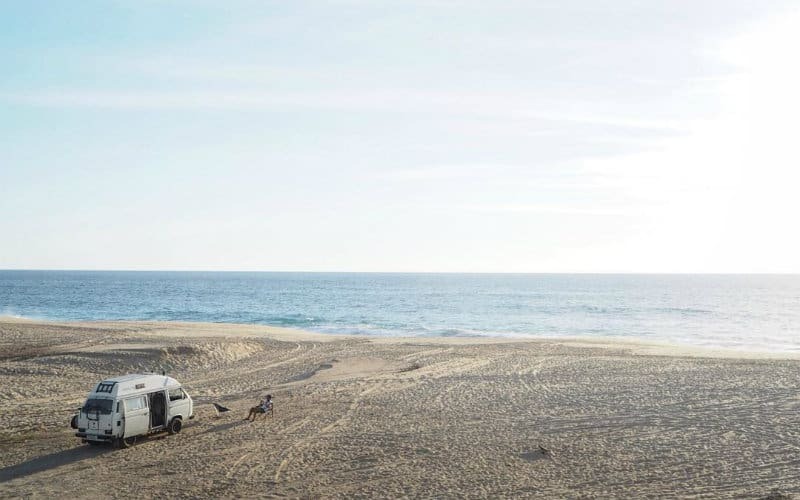 The longer you’re on the road, the less things bother you. But yes, there is one big thing: being far away from friends and family. That can be hard sometimes. Especially when a family member dies for example, like it happened to Gabriella while we were away – it’s hard not to be there for them. What were you doing in life before you decided to do this? We both worked in the media. Gabs is a journalist and editor and continues to be on the road, only without the stressy worklife in a newsroom! Sandro worked as a head of content and marketing, today he’s mainly playing the guitar. 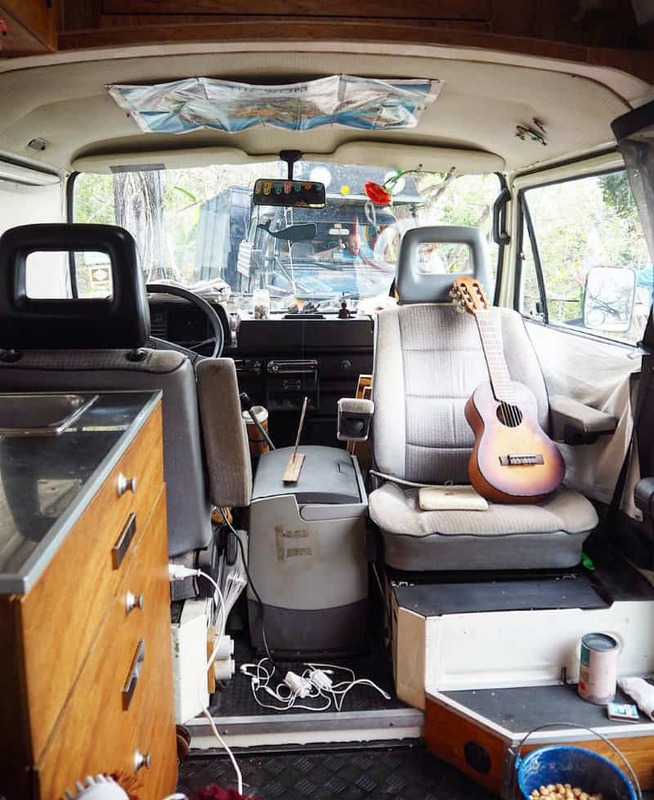 What are your favorite features of your van? Anything specifically unique? Definitely the solar panel. It makes us so independent, it’s amazing. And the blender, we use it all the time. We freelance as journalists, writers and content creators for different clients, magazines, and newspapers in Switzerland and Germany. 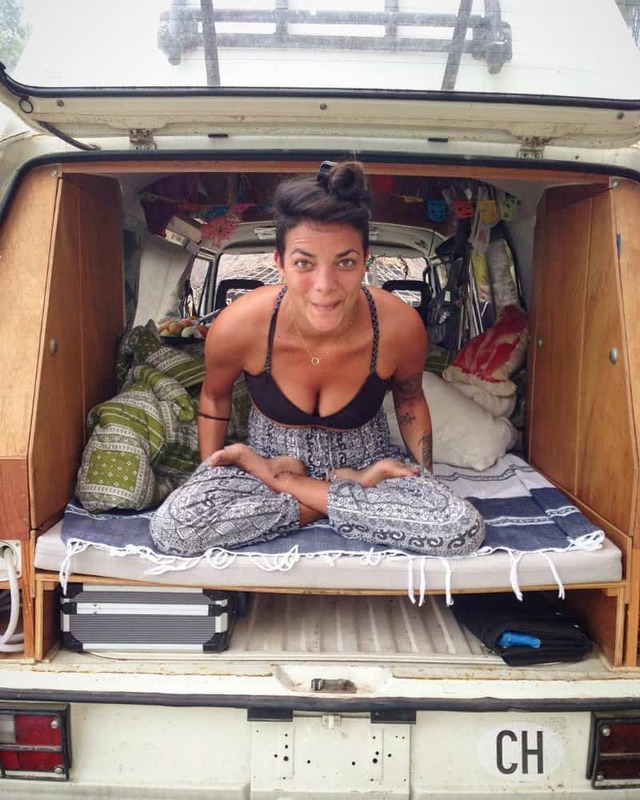 Gabs is a yoga teacher and teaches on the road whenever there’s the opportunity. 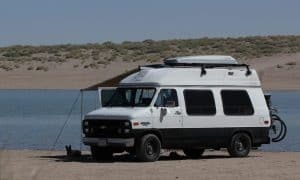 We’re also publishing an eBook in mid July (in German though) in which we answer the 100 most asked questions about us and this life on the road. What have been your favorite locations thus far, and why? We loved Mexico very much. 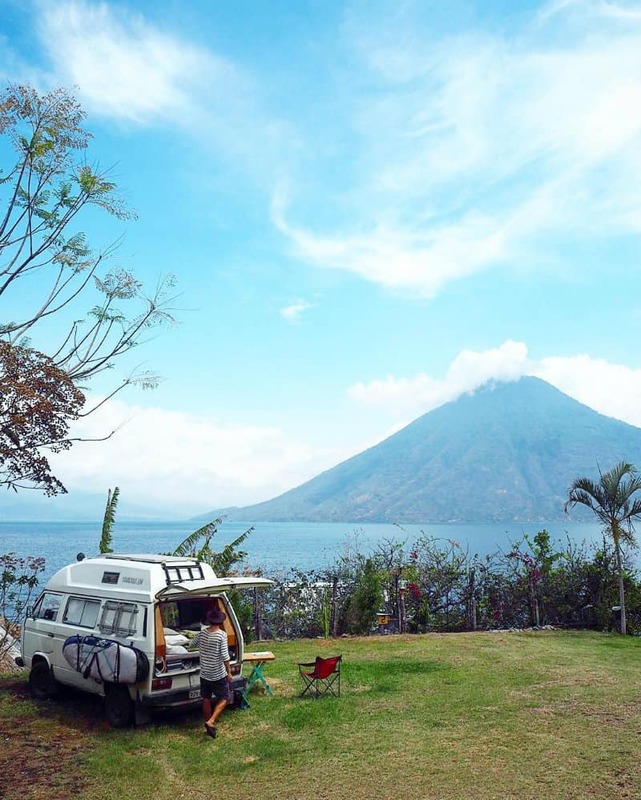 It’s amazing for roadtripping and camping, the food is exceptional and the nature beats it all. We spent six months there, instead of the planned three. What are some things you brought with you that you use nearly everyday? How about things you ended up never or rarely using? We only use shoes other than our birkenstocks when we go running. All the other ones are stacked away and waiting for their turn. At the beginning of the trip we went to Burning Man and bought a couple of folding bikes for it. We thought we’d use them after that, but we didn’t – so we ended up donating them in Guatemala. Maybe having a lot of options in terms of produce (Gabs is a vegetarian) and food. But we make it work. What do you do in your free time? What are your favorite activities? Everything we want to! 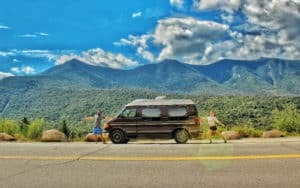 That’s our favorite part of van life, that we get to do all this stuff without having to think: OMG this doesn’t bring me anything. We read a ton, we do online courses, Gabs started fermenting everything, Sandro is making music several hours a day. We go running, Gabs does yoga – we love it. 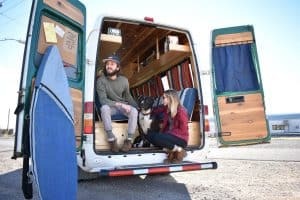 What advice would you give someone considering traveling full time in a van? You’ll never know until you do it. 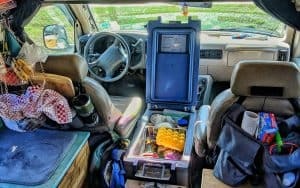 What’s your favorite meal to make in the van? Buying all the veggies we find on a roadside stand and throw them all together. Always different, always super tasty. Don’t forget to follow Gabriella and Sandro on Instagram @vanabundos to keep up on their beautiful adventures! Thanks for checking out another awesome Gnomad Homies! Don’t forget to give us a follow on Instagram and Facebook! Have an amazing rest of the week!